The federal government collected record total tax revenues of $252,692,000,000 in October, the first month of fiscal 2019, according to the Monthly Treasury Statement released Tuesday. 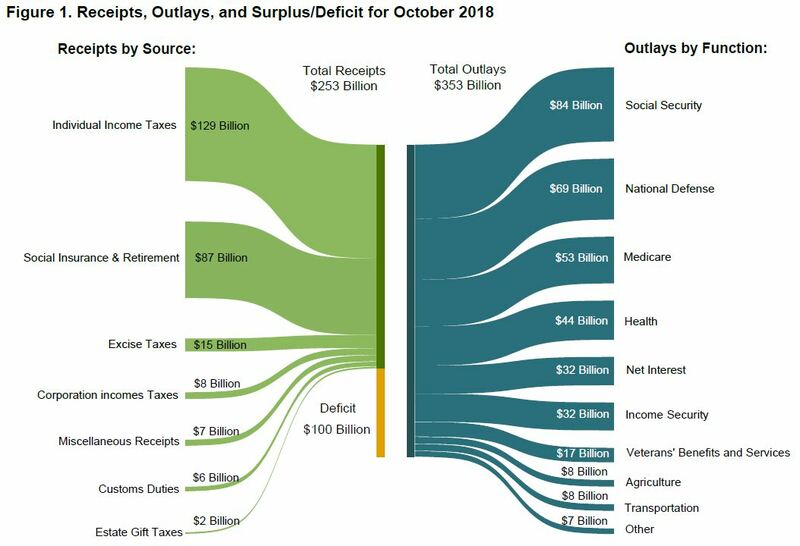 This October’s record $252,692,000,000 in total tax collections was $11,414,590,000 more than the $241,277,410,000 (in constant October 2018 dollars) that the federal government collected in October 2017, which was the previous record for federal tax collections in October. 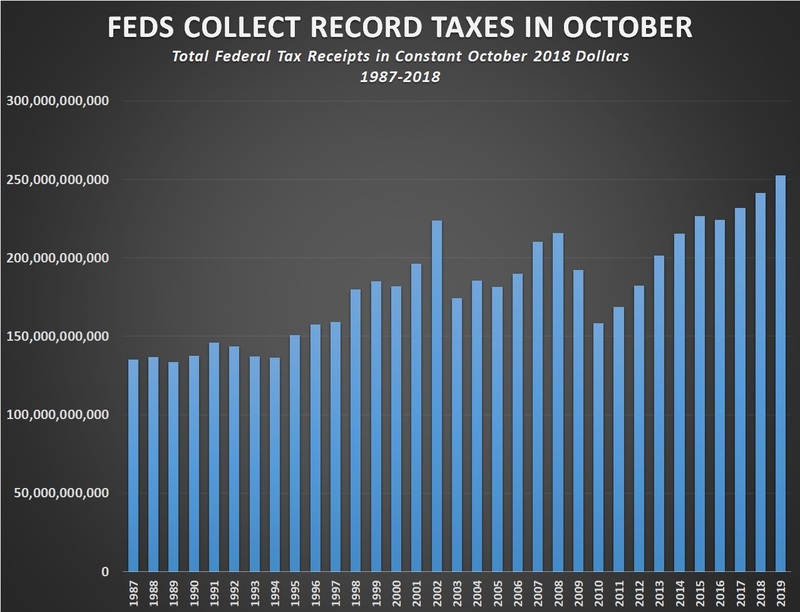 Although the total federal taxes collected this October set a record, the individual income taxes that the federal government collected in October did not set a record. This October, the Treasury collected $128,866,000,000 in individual income taxes. In October 2017, the Treasury collected $131,056,520,000 (in constant October 2018 dollars). Corporation income tax receipts, however, were significantly higher this October than they were in October 2017. This year, the Treasury collected $8,000,000,000 in corporation income taxes in October. Last year, it collected $3,823,060,000 (in constant October 2018 dollars). The $8 billion in corporation income tax revenues the Treasury collected this October is the largest amount since October 2015, when the Treasury collected $10,893,630,000 (in constant October 2018 dollars) in corporation income taxes. Social Security and other payroll taxes also increased slightly rising from $86,137,330,000 (in constant October 2018 dollars) last October to $86,553,000,000 this October.